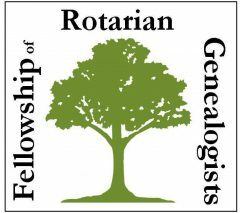 Welcome to the Fellowship of Rotarian Genealogists! We are a group of men and women who are committed to Rotary and exploring Genealogy. We are building the site up and we would appreciate all comments and contributions. We have a Q & A blog section – just need a few questions that we can try to answer, a DNA section – tell us you DNA stories, for fun we have a Family Recipe section – these recipes must be family favourites handed down from one generation to the next.